We are red diesel suppliers in Sunderland and we can deliver any fuel you need to any location. We are red diesel suppliers in Sunderland also delivering diesel, kerosene, heating oil and lubricants nationally. Red diesel is used for off road machinery and for heating. We deliver red diesel to the public and private sector, for example, to construction sites, local authorities and schools – just to name a few. We have customers in all business sectors and they are very pleased with our service. Our deliveries are always on time, we offer only the highest quality fuel, free fuel management and 24/7 out of hours emergency deliveries. Call Crown Oil now on 0845 313 0845 or, please fill in the form to the right of this page to get a live quote. Receiving status as a city in 1992, the year the Queen celebrated her forty years’ reign, Sunderland, with all of the towns and villages in its district, sits proudly by the sea. The entire district offers a sustainable environment to its business and suburban areas. Many homes and commercial buildings use diesel to fuel their heating systems. Now, for heating, off road vehicles, heavy equipment and more, Red Diesel fuel is available. While being chemically similar to the diesel fuel designated for automobiles, red diesel fuel costs less and there is no fuel tax applied. The red diesel Sunderland uses is a standard product that includes red dye. This dye distinguishes it from diesel fuel for travel on roadways and city streets. The colouring prevents people bypassing fuel tax and purchasing the inexpensive red fuel instead of the regular diesel with taxes added. In fact, police patrol agencies have a red-dye fuel detector with which they can test the fuel in a car, and they can conduct this procedure whenever they see fit. If they discover red dye fuel in the tank of an automobile, they can prosecute the owner for fuel tax dodging. This is a serious offence. Now, red diesel suppliers deliver on location to businesses and homes using diesel for heating, heavy, off-road equipment and more. Owners can select a service plan and delivery times preferred. Additionally it is helpful to know when ordering services, the fuel goes by different names including such as heating oil, generator fuel, and cherry. 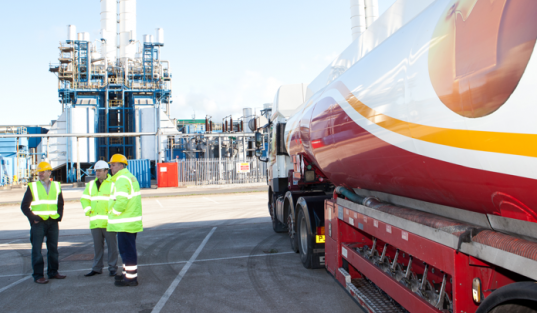 This versatile fuel serves publicly and privately in the entire Sunderland district.